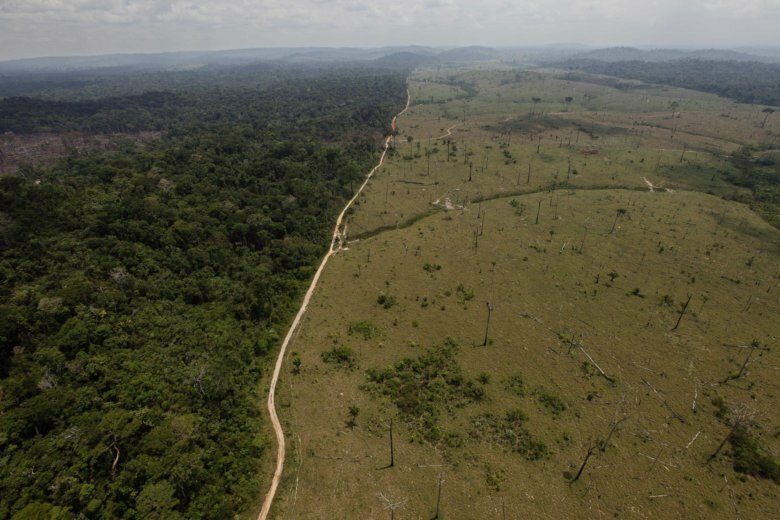 SAN FRANCISCO (AP) — A coalition of charitable groups and the government of Norway on Tuesday pledged to spend nearly half a billion dollars over the next four years to prevent deforestation internationally and recognize indigenous peoples’ rights to manage forests. The charitable groups pledged $459 million to help indigenous groups gain rights to the forests where they live and to help them protect their land. The government of Norway pledged another $33 million to help prevent deforestation in Indonesia and Brazil. The coalition of more than 15 organizations and Norway made the announcement ahead of an international climate change summit in San Francisco. It includes the Ford and the Rockefeller foundations. “Evidence shows indigenous communities are the most effective stewards of the land they inhabit and in doing so, they are ensuring that the greenhouse gas levels do not do irreversible damage to people and the planet,” said Darren Walker, president of the Ford Foundation. The funds will support those working to protect, restore and expand forests, help communities make land use more sustainable and empower indigenous people by teaching them about their rights. Vicky Tauli-Corpuz, the United Nations Special Rapporteur on the Rights of Indigenous Peoples, said that to prevent deforestation, the rights of indigenous people need to be secured and governments need to protect those fighting for land and the environment. About half of the forests in the world are managed by indigenous people but only 15 percent of those lands are legally recognized as belonging to them, she said, adding that more than 200 land and environmental activists, many of them indigenous, were killed last year. “If our rights as indigenous peoples are recognized, we can continue to protect these lands for generations to come,” she said. Scientists say forests already remove 30 percent of carbon emissions added to the atmosphere each year but rampant deforestation driven by a growing demand for animal protein, soy and wood products is undermining trees and the soil’s capacity to store carbon. They say the time to achieve the most ambitious goal — limiting a rise in average global temperatures to 1.5 degrees Celsius (34 degrees Fahrenheit) by 2100 — has almost passed and that preserving and expanding forests is critical to fighting climate change. Erazo Yaiguaje, an indigenous Siona man from South America, traveled from the Colombian Amazon to San Francisco to share his tribe’s plight in getting the government to recognize their ancestral land and to publicize his people’s fight against cattle ranchers and efforts to clear land mines left behind by a rebel group. The ranchers, he said, started arriving in the Putumayo areas once occupied by rebels with the Revolutionary Armed Forces of Colombia, or FARC, who in 2016 laid down their guns after they and the Colombian government reached a peace deal. Yaiguaje said his tribe lives in 11,000 acres (4,450 hectares) but that the government has refused to recognize their land encompasses 128,000 acres (51,800 hectares). “The pledge recognizes the importance of indigenous peoples and how from the forest and the jungle, we’re helping the world,” Yaiguaje said. But he said he hopes the money gets to those it intends to help. “These funds are usually given to the government and our communities see very little of it,” Yaiguaje added.